Office buildings, retail space and other high-traffic commercial areas use commercial carpeting. Commercial carpet is designed to last longer than residential carpet and this is now a reason in its growth in popularity for the home. Quality commercial carpet also saves you a great deal of money. Commercial carpet is made from cut pile, cut and loop, textured loop or level loop; this short loops means less carpet matting, stays looking new longer, and wears much better which adds to it lasting longer. This carpet is dense and has a low pile. It is the best lasting and least expensive carpeting in the market. Homeowners have been recognizing the value of installing commercial carpeting in their homes. If commercial carpet was as plush or soft as residential carpeting, it would be used more. Homeowners prefer the pile height of residential carpeting. There are beautiful commercial carpets available now and their use is opted more now in home offices, dens and family rooms. The type of construction a carpet has determines its looks. Low dense, loop piles are popular for lobbies, offices, hotel rooms, classrooms and health care facilities. These carpets provide a surface which is easier to move rolling traffic such as carts and wheel chairs. Cut pile and loop pile is favored more for administrative areas and individual offices. The density of the pile yarn such as lower pile height with higher pile yarn density gives the best value. Carpet backing cannot be overlooked. Different carpet backing types serve different functionality including moisture resistance. Carpet is manufactured by fusion bonding, weaving or tufting. Tufting accounts for more than 90% of all commercial carpet construction. That is because it is efficient, adorable and offers style and pattern variety. Having the carpets regularly cleaned using a hot water extraction method would help extend the life of the carpet. Equipment and cleaning solutions based on the manufacturer's instructions should be used. Carpets begin to look old and worn as a result of discoloration and fading of the carpet's color. Often blame is put on the carpet being worn when in fact it is the fading color that creates the problem. 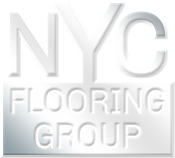 Choose quality carpet for carpeting a commercial building or home to gain years of enjoyment. Carpet tiles ("carpet squares") normally come in one size: 18x18". Available are varying thicknesses and patterns, as well as hundreds of colors. Carpet tiles can be purchased dry-backed or self-sticking. Dry-backed tiles need a special adhesive or double-faced tape, for less permanent jobs. As long as the surface is clean and dry you can install carpet tiles, though it is not recommended for use in below-ground areas such as basements because it can mildew.